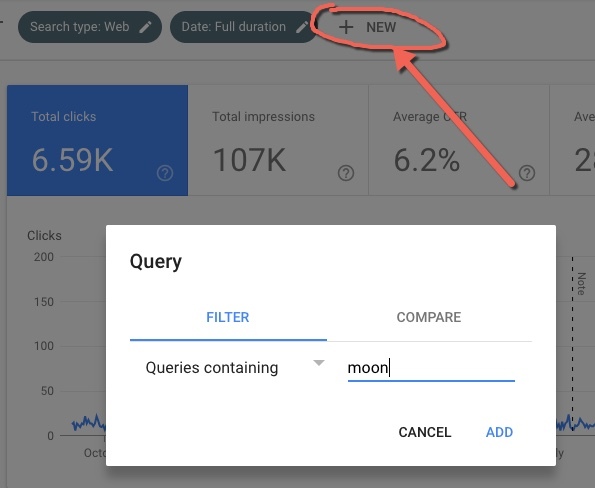 The new Google Search Console is here (with screenshots)! » New Google Search Console is here! 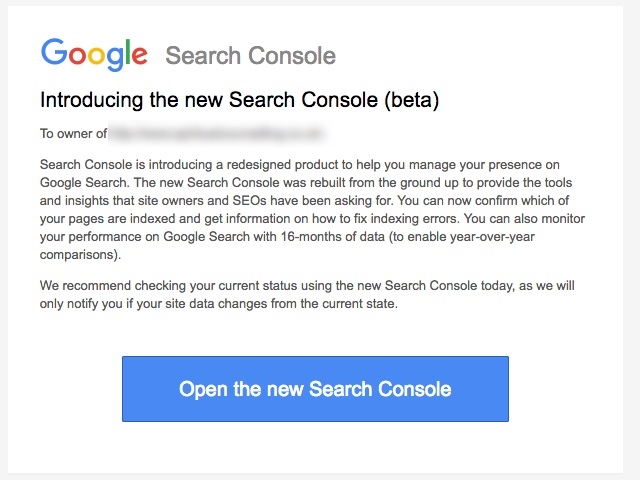 New Google Search Console is here! On January 8, 2018, Google announced that the new Google Search Console will be rolling out to all users. This new version has been in beta for a few months, soon it will be available to everyone. One very exciting aspect of the new GSC is that keyword and ranking data will be available for up to 16 months! A big improvement over the old limited 90 days of data that we used to get. Keep an eye out for an email from Google with the subject “Introducing the new Google Search Console” that will notify you when you have access. I have a client that has access so I took a tour and have screenshots to share with you in this post. When you log in you’ll be shown your site’s status organized into three sections: Performance, Index coverage and Enhancements. Click on “Open Report” to get the details for each. The first section Performance is the replacement for Search Analytics. Instead of toggling checkboxes as you did in Search Analytics before, just click on the squares to see the statistics for Impressions, Average CTR and Average position as shown below. Underneath you can click on Queries, Pages, Countries and Devices to see your keyword and ranking data. So the functionality is similar to Search Analytics, but more straightforward and visually more attractive. And yes, there are filters (which I found very useful in the old tool). To set a filter, click on the “+ New” at the top, select the type of filter in the popup and fill it in. There is also a Compare feature that is new and looks potentially useful. 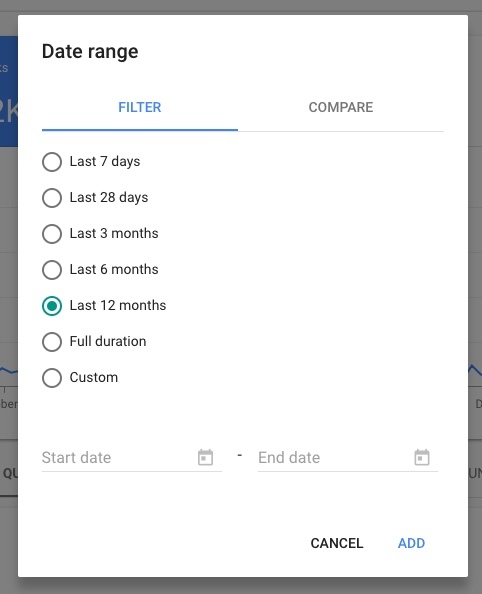 As I mentioned above, you can get up to 16 months of data by selecting full duration in the popup that comes up when you edit “Date”. When I toggled “Full Duration” and then clicked on “Add” my chart updated to show me search analytics data from Sep. 10, 2017 through Jan. 8, 2018 which is just a hair under sixteen months. Expanded access to keyword and ranking data was one of the most consistent requests by SEOs, it’s nice that Google listened and delivered. 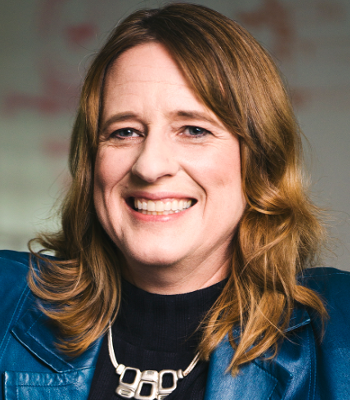 If you are a Googler reading this article – thank you! I’m really looking forward to not having to frequently export out Search Analytics data. The Index coverage section also delivers with more insight on why URLs have been excluded (or included) from indexation. This site was hacked last year and the hackers added thousands of spammy URLs which all have been removed and now return a HTTP status code 410. Seeing Google confirm that these URLs have been excluded from the index was reassuring even if the reason was “Crawl anomaly”. 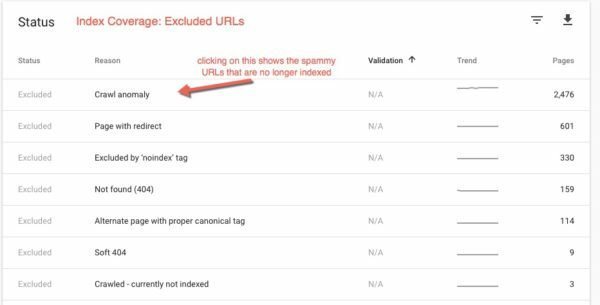 Below you can see the breakdown of the indexation status of the URLs of the site and the reason why the URL has been excluded from the index. The “Enhancements” section helps you improve your AMP and Job Posting pages, since my client isn’t using either of those features there was no report available. Google will be enhancing and improving the new Google Search Console over time. I’m looking forward to getting insights on mobile usability and structured data (which I would assume will show up in the Enhancements section), but for now these are not available in the new console. On the sidebar we also have access to “Sitemaps” as well as a link to the old Google Search Console. As it did in the old console, it shows the status of any submitted XML sitemap and provides a way to submit a new one. As exciting as the new Google Search Console is, there is still quite a bit missing. I’ve mentioned the lack of feedback on mobile and structured data. Another feature that appears to be missing is the ability to fetch and render URLs which I use frequently. However the old Google Search Console will be available for up to a year so we are not losing any functionality. Take the new Google Search Console for a spin and let me know what you think!